Auto Bio Diesel Mass autoflower from Advanced Seeds is originated by crossing an autocritical with autodiesel genetics. 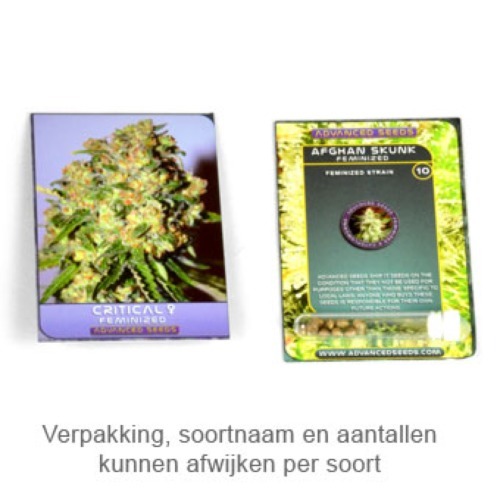 These feminised cannabis seeds are from very good quality and are very popular! This weed plant is quite easy to grow and is suitable for an indoor grow and outdoor grow. Advanced Seeds Auto Bio Diesel mass has a recognizable diesel taste and smell. The Diesel strains are mainly popular in America but this taste is also seen as extremely delicious by other people. Growing cannabis from these Auto Biodiesel will be liked if you love the Diesel strains. Tell us and our customers what you think of the Biodiesel Mass Automatik from Advanced Seeds.